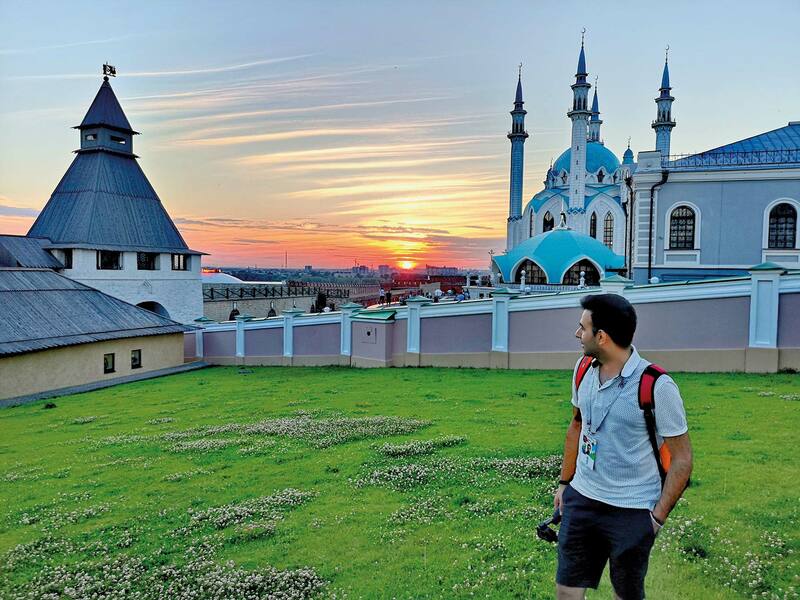 With the world’s attention fixed firmly on Russia of late, the host nation for the FIFA World Cup 2018, famously stereotyped for its ‘cold weather and cold people’, surprised international fans with its hospitality and warmness. While on the field, there were shocks and upsets galore as some of the top-rated teams bowed out early, off the field, there was an infectious, carnival-like atmosphere all over the country, from the streets of Moscow to the beaches of Sochi. 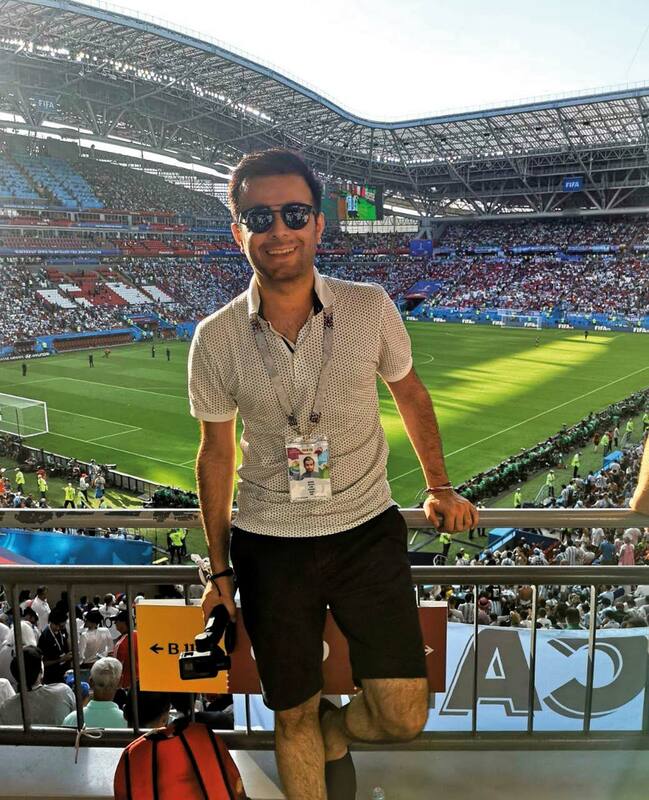 Pakistan’s very own Jahanzaib Shafique, Managing Director of JBnJaws Productions, was there to witness the festivities first-hand and shares his memorable experience with DESTINATIONS. 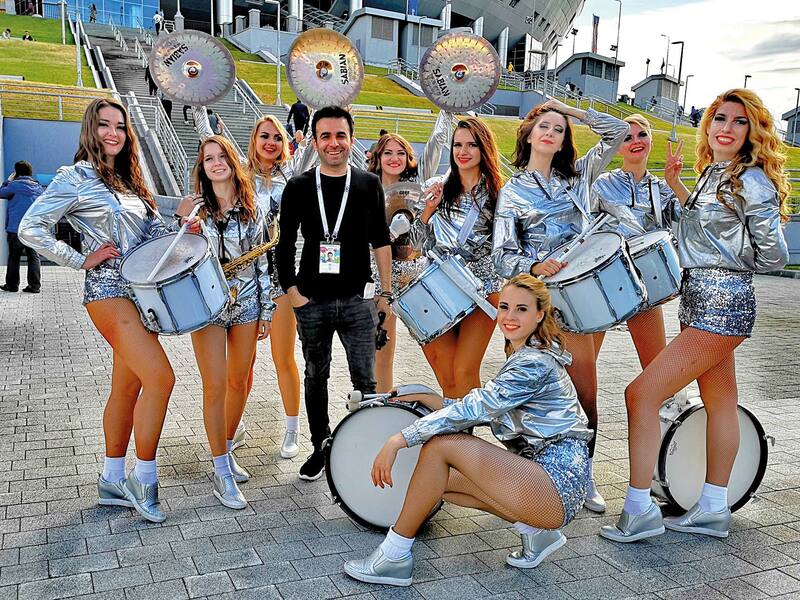 Why did you decide to visit Russia during the FIFA World Cup? Tell us about the planning of the trip, getting the FIFA tickets, the visa process and the travel logistics. I’d always wanted to go Russia and I do follow football on and off. This was the perfect opportunity to enjoy both without the hassle of going through a visa application since your fan ID served as the visa. Once you’d purchased FIFA World Cup tickets, you had to apply for a fan ID that was mailed to you and you had to wear it as identity. With a regular Russian visa, you are only eligible to visit about two cities. With the fan ID there was no limitation so that was perfect too. As for the FIFA tickets, I missed the first two rounds of ticket sales but got them in the 4th round. I didn’t fly directly to Russia from Lahore. My first stop was Warsaw, Poland and from there I took a Polish LOT airline flight which was about 4 hours long. From Lahore to Warsaw, it took 14 hours and I flew on Qatar. I had different friends in different cities, whoever my schedule matched with at the time. Russia isn’t high up on the list of countries on the popular tourist trail. Did you go with any preconceived notions of what it would be like? How would you sum up your impressions of the country and its people? I started with a less popular city, Kaliningrad, and there wasn’t a lot happening there. But my trip thenceforth completely made up for it. As opposed to popular belief, I found that Russia was very safe, the people very friendly and warm and the country beyond beautiful. Coming from the heat of Lahore, the low temperature was also a welcomed change. The most visible barrier was the language. Russia doesn’t receive a lot of foreign tourists and I guess they never really bothered to learn English except in the 2 bigger cities of Moscow and St. Petersburg. The street signs, menu items, and anything and everything is in Russian only and without the Google translator app, I would have had a tough time. How many cities did you visit and which one was your favourite? I visited 5 cities in all and I think Saint Petersburg has my heart. It is culturally rich, with an excellent nightlife. The architecture, the history (and the remarkable preservation of it) all begs for attention. Kazan was my second favourite. How did you travel between the cities to watch the different matches? By air, primarily because all the bullet train tickets were sold out by the time I booked my trip. Besides, Russia is huge so it took a long time to get from one place to another on train. Average rides in between cities are in excess of 24 hours, and I didn’t want to waste 5-6 days just on train rides. Had the Russian authorities taken any measures to ensure that football fans were facilitated, such as reducing hotel charges and travel costs? Hotel charges and flight fares not so much – if anything, they were pretty expensive especially right before a match in that particular city. The intercity travel however, yes. On the day of the match, you could travel for free to and from the match with your fan ID. You also got a 30% discount on all entry tickets to sites in all the cities if you had your fan ID. There were a few shops that gave certain discounts on your fan ID too. What was the atmosphere like in the country, especially given Russia’s unprecedented good run? It was absolutely electric! Whether a match was going on or not, you found locals and foreigners chanting slogans. It was extremely festive, the decorations as well as the spirit of the whole country. 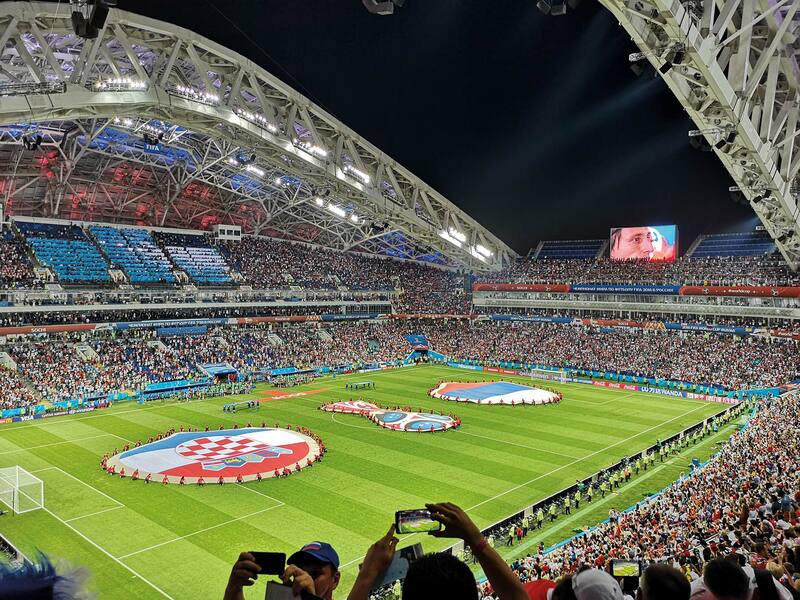 I watched the quarter-final between Russia and Croatia and that was one of the best matches of the world cup and one of the most thrilling ones too in terms of the audience and the atmosphere. Were the locals welcoming of international football fans? They were amazing, as helpful as they could be. I didn’t experience even the slightest bit of hostility or discomfort. Did you run into any other Pakistanis? Did you make friends with people of other nationalities? 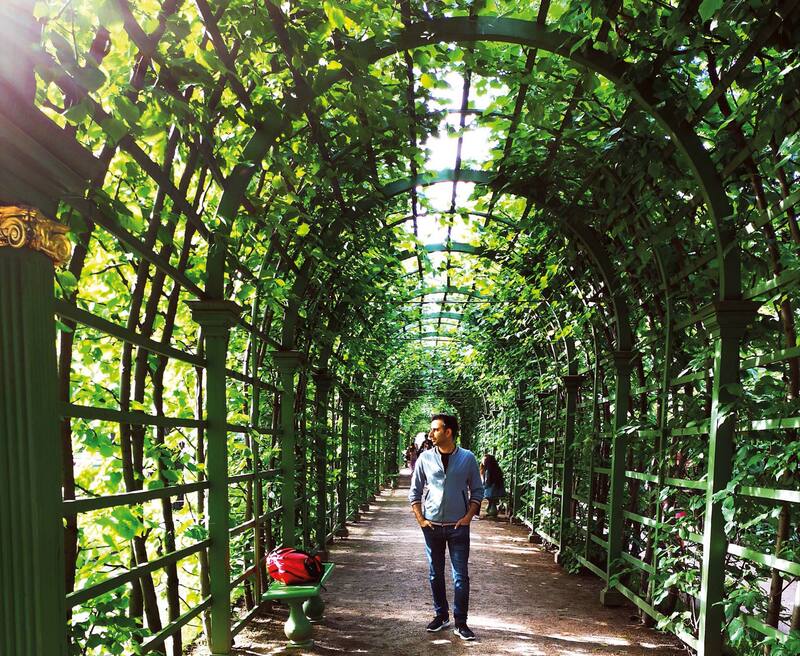 I was actually surprised to see so many desis in Russia; bumped into quite a few friends even. And made quite a few friends of other nationalities, mostly Americans, Indians, Argentinians and Brazilians. Even chanted Afridi and Sachin with some Indians in the stadium! Can you describe the celebrations when a team won? What was it like witnessing that joy and euphoria first hand? It was amazing, almost as if Pakistan had won if one of the teams I was supporting had won. You quickly gel in with the crowd because it is so contagious. Which team (if any) were you supporting? 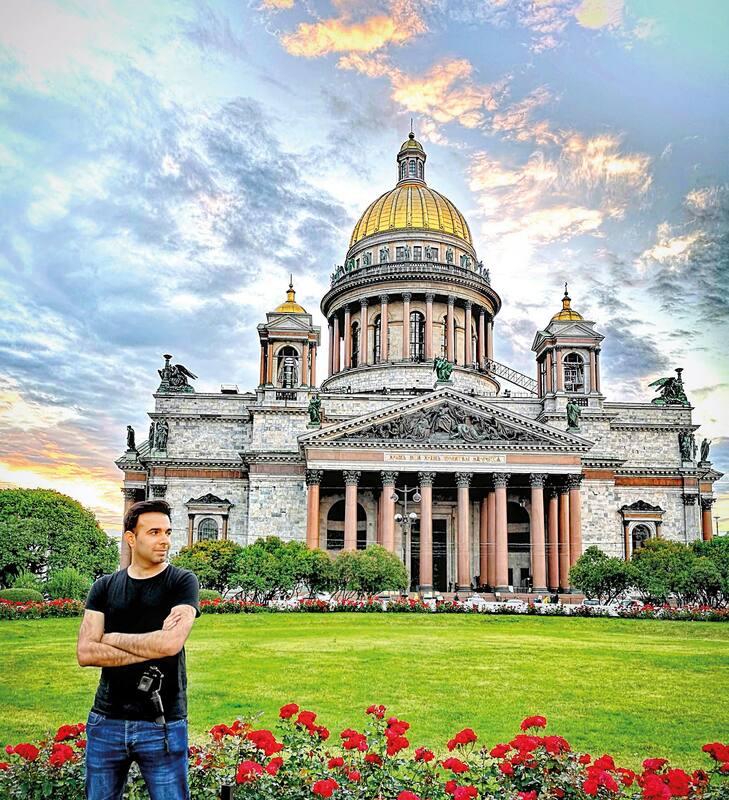 Russia is full of iconic sights and monuments – did you get the time to visit any of them? I tried to see as many as I could in the time that I had. My favourite one would have to be St. Isaac’s Cathedral in Saint Petersburg that was breathtakingly beautiful. Other than that, there was the Peterhof Palace that was also magnificent. 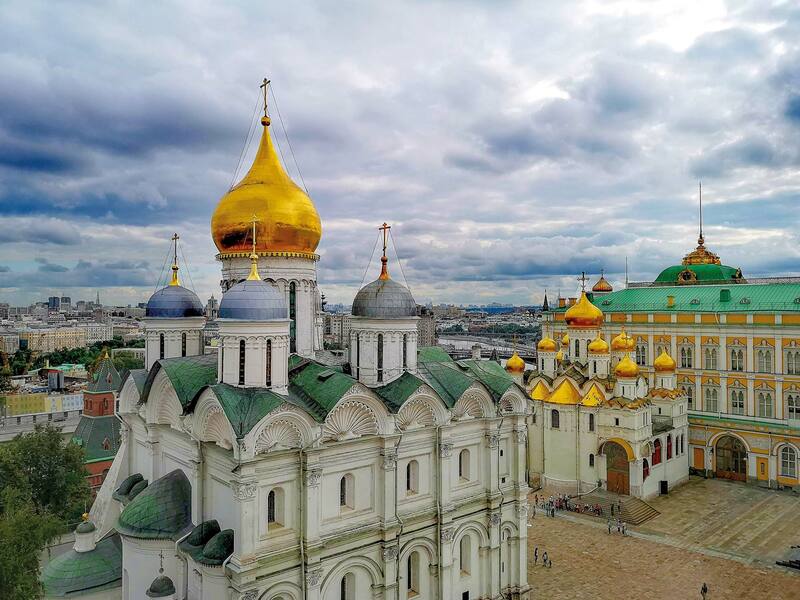 I also went to see the Hermitage Museum, Summer Garden, Church of the Saviour on Spilled Blood, Kazan Kremlin, Moscow Kremlin, St. Basil’s Cathedral and more. What is Russian cuisine like? What were some of your favourite local dishes? Well, I tried traditional Tatar dishes and Russian also, but didn’t quite find them all that delectable. I think that’s because we’re used to our spicy food while theirs was comparatively bland. Interestingly, the name of one of the Tatar dishes was “pilaf” and it was quite similar to our pilao; I figured the origin of the dish must be the same considering even the names sound alike. It was pretty good, perhaps the only local dish I enjoyed. Did you bring back any souvenirs? Always do. There are the fridge magnets that are a must. I collect them and have a sizeable collection by now from all over the world. Then I got an ushanka, the Russian fur hat. I also got a matryoshka doll (the stacking doll). As FIFA souvenirs, I brought back fridge magnets and glasses with match specific labels from all the five matches. What would you consider to be the most memorable part of the trip? 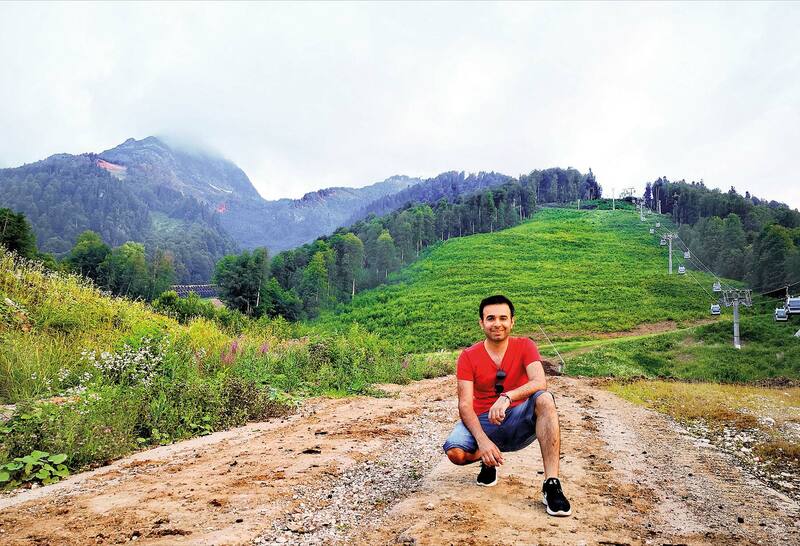 Other than the matches, the most memorable would be the biking track I covered while at Roza Khatur in Sochi. I’m not too keen on heights, so it was a challenge for me as it got really steep at times. Managing to complete the trek unscratched felt quite like an achievement and made the city and its terrain very memorable for me.